Someone recently asked me if it was possible to do a BOB for under $100. My first reaction was to say, “Of course!” After thinking about it for a few minutes though, I wasn’t so sure. 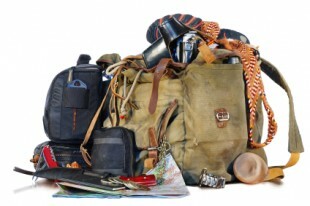 If you surf the different forums, you’re likely to conclude that Bug Out Bags require only the very best equipment, and a corresponding outlay of cash . While they certainly can be spendy, they don’t always have to be. The bag you choose for your BOB can by itself easily put you over the $100 mark. This isn’t necessary though. By hitting a few army surplus stores, sporting good stores , Walmart, Costco, and even the Salvation Army, I’ve found a plethora of cheap bags for under $30 that would do just fine. Much like the gear in the bag, an expensive bag is nice, but not essential. Of course, the number one contributing factor to an over-priced BOB is the “cool looking gear” bug. Manufacturers are quite good at product presentation. They know most of us will reach for what looks cool long before we reach for what is inexpensive, well made, and just works. This is generally true in life, but it is painfully evident when it comes to survival and tactical gear.